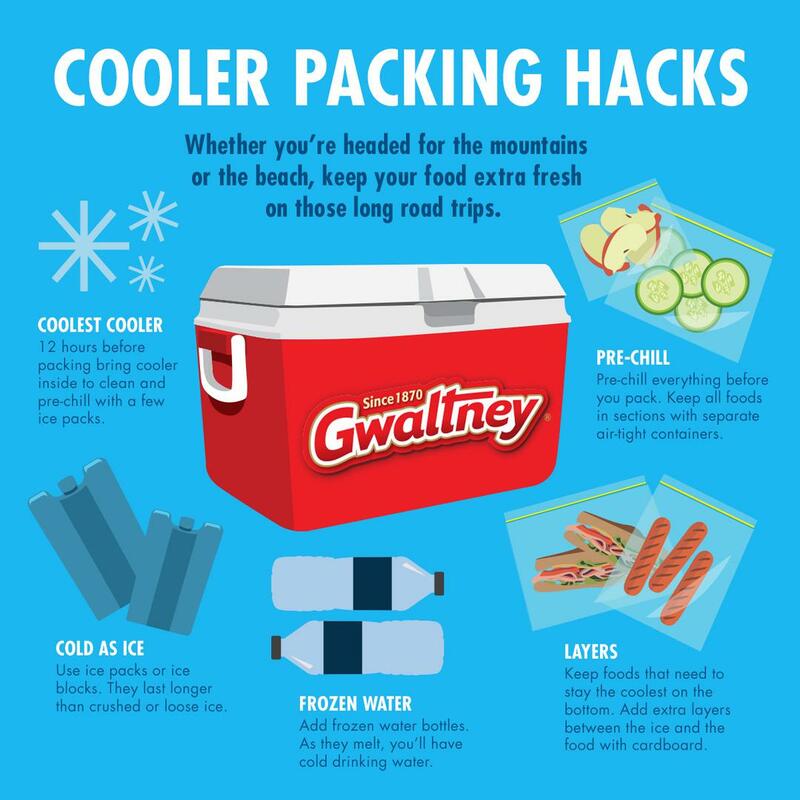 The do’s and don’ts when you pack your cooler? Funny you should ask… here are some helpful tips to make sure your food and drinks stay cold. A cold cooler keeps ice longer. Keep it outside or stick it in the coolest part of your house the night before your trip. Freeze and pack your Gwaltney products and other meats separately in individual zip-top plastic freezer bags and let them thaw over time. The same goes for water and other noncarbonated drinks. Pack your ice blocks at the bottom of the cooler, and then cover it with a thin, solid layer like a sheet of cardboard to keep food from getting soggy. Add an extra layer of insulation over the top of your cooler to fight off sun. Try cutting old sleeping pads into cooler-size rectangles.